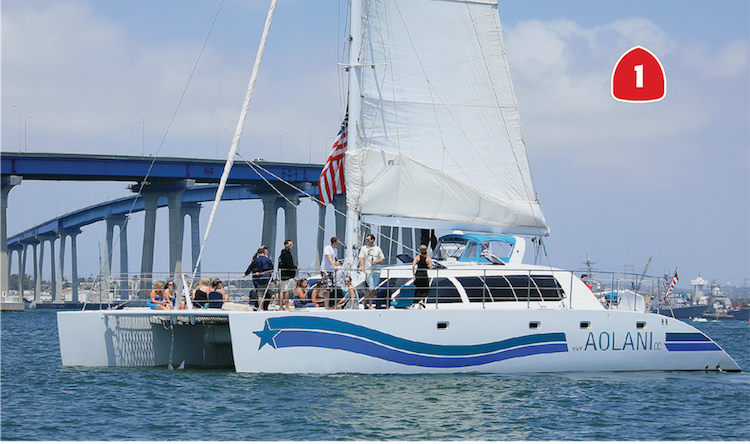 If you’re charting a course to great summer adventures in and around Coronado, you may want to add several of these venues to your itinerary. 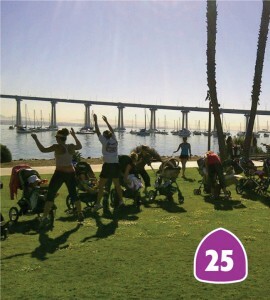 Whether you’re a visitor here for the summer or an “island” local, you’re sure to find that Coronado and all roads that lead here are sure bets for summertime fun! 2. Ferry fun … Hop on the charming ferry at the Coronado Ferry Landing for a lovely 15-minute ride to downtown San Diego. Rides begin at 9:30 a.m. and leave every hour on the half hour. You can bring your bike for free. 3. Romance on the bay … Head to Loews Coronado Bay Resort and hop aboard a gondola, where you’ll be steered through the glassy waters of the Coronado Cays. Packages including champagne, cheese plates, and chocolate-covered strawberries are available. (619) 429-6317. 5. No clubs needed … Rent a golf cart from Coronado Golf Cars and zip around the island with the wind blowing through your hair — summer at its finest! Driver’s license required. 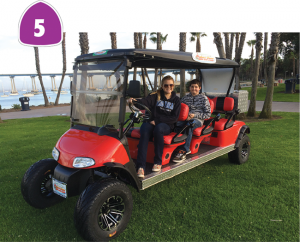 www.coronadogolfcars.com or (888) 578-2388. 6. 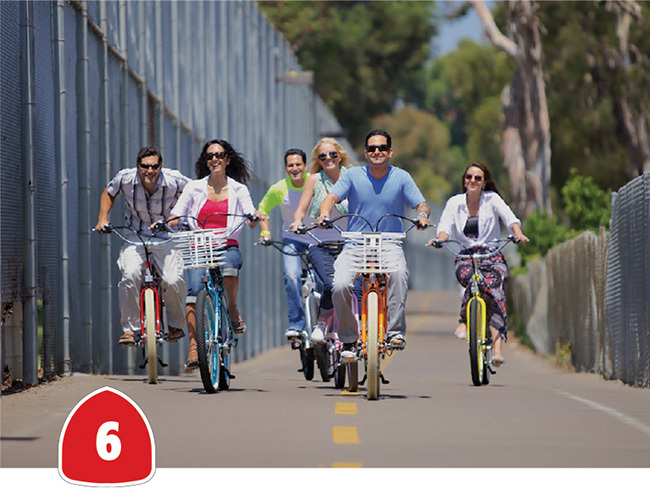 Pedal power … Rent an electric bike from Pedego Coronado and take a motorized joyride along the bay and under the bridge. 1132 First St., www.pedegocoronado.com or (619) 435-0404. 7. 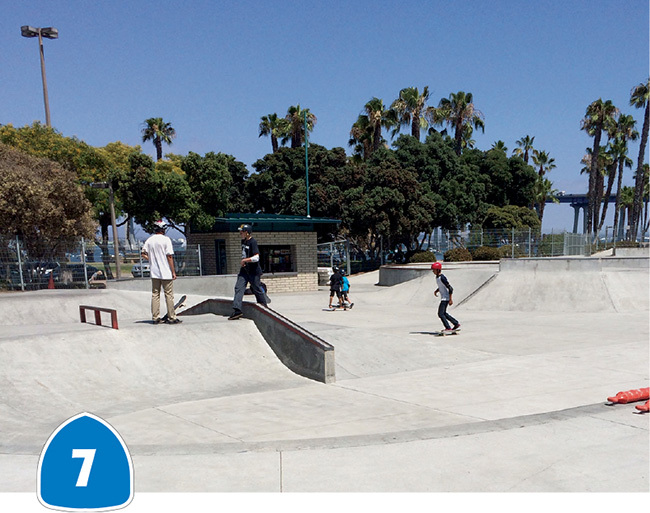 Get board … With 16,000 square feet of bowls, ramps, jumps and turns, Coronado’s Skate Park at Tidelands Park will keep skateboarders entertained for hours. A one-time “annual waiver fee” of $10 is required, then admission is $60/year, youth (6-17) and senior (55+); $100/year, adult (18-54). Call (619) 522-7342 for details. 9. Free ride … The MTS 904 free shuttle runs every 30 minutes from the Coronado Marriott to the Coronado Ferry Landing, and then down Orange Avenue to Coronado City Hall from July 5 to Sept. 30. 10. Lawn bowl pro … Since 1935, the corner of Seventh & D has boasted a beautiful grass green, home to the Coronado Lawn Bowling club. San Diego County residents can receive a free lesson by appointment; call (619) 319-5509. 11. Coronado classic … Every Sunday night through Sept. 7 at 6 p.m., pack a picnic and your dancing shoes and head to Spreckels Park for Concert in the Park. See the calendar for the weekly lineup. 12. Get organ-ized … Now through August, enjoy free Sunday organ concerts at 2 p.m. at Balboa Park’s Organ Pavilion. The organ was donated in 1914 by Coronado’s own founding father, John D. Spreckels, for the Panama-California Exposition and is one of the world’s largest outdoor pipe organs. 13. Concerts with a view … Every Saturday and Sunday at 2 p.m. the Ferry Landing hosts free concerts. Sit on the grass overlooking downtown San Diego and enjoy! 16. Library learning … For Coronado-centric exhibits, lectures, and even cooking classes, look no further than the Coronado Public Library. Check out our calendar for more information. 18. Culinary classes … Join Mistral’s Chef de Cuisine Adam Cho for culinary lessons at Loews Coronado Bay Resort. On July 9 and 23, Loews pairs up with Suzie’s Farm to teach you all about farm fresh produce and how to grow your own at home. 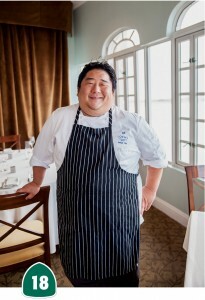 Aug. 6 and 20, learn how to master the “slow and low” cooking technique to make deliciously juicy meats at home. Classes are from 1-3 p.m., $20/hotel guests, $30/non-guests. (619) 424-4000. 20. Nature walk … Every Sunday, one-hour walking tours leave at 1:30 p.m. from the lifeguard headquarters on Silver Strand State Beach. (619) 823-5801. 22. Curtain call! See our calendar for live theater, both on and off island. 23. No place like home … See our calendar for details on this year’s Oz Con International — a weeklong celebration of all things Oz. 24. Summit Mt. Coronado … The Coronado Community Center boasts an indoor climbing rock wall with features like a flat face and overhangs that make it suitable for all levels. (619) 522-7342. 26. Soar! Live your dream of flight during a 25-minute tandem hang gliding experience with a certified instructor along the scenic Torrey Pines coastal cliffs. A tandem hang glide is the quickest way to get flying without the long-term commitment of lessons and certification. Call the morning you’d like to fly to check wind conditions and, given the go-ahead, head to the Torrey Pines Glider Port (no reservations; first-come, first-serve). Tandem flights are available daily from 9 a.m. to 5 p.m.; peak conditions occur between 12 and 3 p.m. www.sandiegofreeflight.com or (858) 452-9858. 27. In the swing … head to one of Coronado’s playgrounds and watch the joy on your child’s face (or feel it on your own) as you get airborne on a good old swing. 28. De Plane! De Plane! 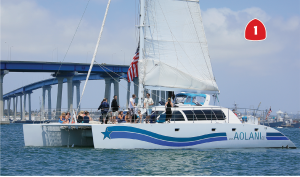 San Diego Seaplane’s “Safari Seaplane” package will pick you up right off the Peohe’s dock at the Coronado Ferry Landing and take you on an aerial adventure around San Diego Bay. www.sandiegoseaplanes.com or (808) 732-7526. 29. For the play-it-safers: Not a fan of heights? Just head to the glider port at Torrey Pines, grab a sandwich from their quaint café and watch the hang gliders do their thing. 30. Spaaahhh day … Step into Bellassima Sea Spa and treat yourself to any number of customized facials and rejuvenating massage treatments. The chic, intimate setting will induce immediate summer relaxation. (619) 435-2525. 31. Bonfire fun! Fire pits are available at North Beach and Silver Strand State Beach, but Glorietta Bay Park may be your best bet. It’s more protected from ocean winds that can make starting a fire challenging and has public restrooms and a large playground and grass area for the kids. The beaches close at 11 p.m., alcohol and glass are not permitted. 32. Sleep on the beach … Whether you live on the island or are here for a visit, RV camping at Silver Strand State Beach is a memorable way to soak in the sand and surf. Camping is limited to fully contained vehicles. From Memorial Day to Labor Day, the Silver Strand Beach Café sells ice cream sundaes, sandwiches, and barbecue, and rents beach amenities such as boogie boards and sunscreen. (619) 435-5184. 34. 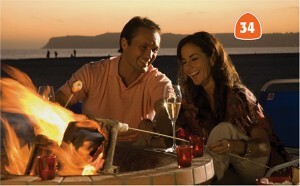 S’more fun … Cozy up to your own private bonfire at the Hotel del Coronado, tuck your toes in the sand and toast some marshmallows for an evening of gooey goodness. Seaside S’mores are also available for larger groups and birthday parties. (619) 522-8815. 35. Crown Island castles … Both the Imperial Beach Sun & Sea Festival and the Optimist Sports Fiesta offer competitive sandcastle building this summer. See our calendar for details. 38. Fountain play … The Port of San Diego’s new waterfront park by the San Diego County Administration Building features an interactive fountain the length of two football fields that’s designed for play! Thirty-one jets shoot 14-foot arcs of water over one-inch shallow pools. (619) 232-PARK. 39. Paddle around… Bike & Kayak Tours offers kayak tours of San Diego Bay that leave from the Coronado Ferry Landing beach. No experience needed. (858) 454-1010 or www.bikeandkayaktours.com. 40.Underwater adventure … You can snorkel among California’s state fish, the vibrant garibaldi, sea lions, and whimsical kelp beds at La Jolla Cove. Then, head to the “Children’s Pool,” at the cove where you’ll see piles of sea lions and harbor seals sunning themselves. 41. Surf’s up! Whether you’re a local or a tourist, round out your Coronado summer with a romp in the waves. www.coronadosurfing.com has information on surf lessons and hourly rentals for all levels. 42. Take a dip … The Coronado Community Pool is your best bet for lap and recreational swimming and water aerobics. www.coronado.ca.us or (619) 522-7342. 43. Learn to swim! Classes are offered at both the Brian Bent Memorial Aquatics Complex (www.bbmac.org) at Coronado High School and the Coronado Community Pool. 44. Tide pools … Explore the tide pools in front of the Hotel Del and in Ocean Beach, at the cross section of Ladera Street and Sunset Cliffs Boulevard, where a world of wonders await in shallow water. Check online surf fore­casts and make sure you head over at low tide. 46. Sweetwater marsh … The Living Coast Discovery Center at the Sweetwater Marsh National Wildlife Center in Chula Vista is one of the best places to explore the coastal wildlife that calls San Diego home. 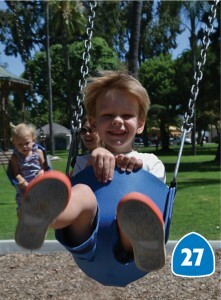 www.thelivingcoast.org or (619) 409-5900. 47. For the birds! Take a quick jaunt down the Silver Strand to the end of Seventh Street in Imperial Beach, where you’ll find some of the best bird watching in the county. Work your way back on foot (about a mile) to the South Bay Marine Biological Study Area where you can spot a large array of coastal birds. 48. Walk on the beach … Loews Coronado Bay Resort offers guided tours of the Silver Strand State Beach with a State Park Environmental Educator. (619) 424-4000 ext. 6300. 50. Scream for ice cream! MooTime Creamery at 1025 Orange Ave. offers your favorite ice cream flavors and mix-ins, all mashed together on an icy stone slab. You can even snap a selfie with the life-size Elvis statue outside to show just how cool you’re keepin’ it! 51. Have a cold one … Sample internationally acclaimed beers brewed by hometown brothers Ron and Rick Chapman at Coronado Brewing Company. 170 Orange Ave., (619) 437-4452. 52. Sip to live music … Head to Wine A Bit on Orange Avenue for festive wine tasting paired with live music Thursday– Saturday, 5:30-7:30 p.m., $15/pp. 53. California wines … Zilaro Cellars on Adella Avenue offers tastings of its award-winning wines Tuesday-Friday, 3-8 p.m., Saturday, 1-8 p.m., Sunday 1-6 p.m.
54. Vino by the sea … Head to ENO at the Del to sample fabulous wines next to a roaring outdoor fire pit and ocean breezes Tuesday-Saturday 5-10 p.m.
55. Fun with Fido … No need to leave your four-legged friends at home during your next happy hour. The Hotel del Coronado holds a weekly “Yappy Hour” from 4 to 5 p.m. on its Sundeck where pups enjoy free Evian water and gourmet dog treats while their owners sip on Greyhounds and Salty Dogs (or other beverages of their choosing!). McP’s Irish Pub offers a large, dog-friendly patio where your faithful companion is welcome to join you for a libation. 57. Shaken or Stirred? Primavera Ristorante serves ice-cold martinis on hot summer evenings. Happy hour (Monday-Friday, 5-7 p.m.) offers $3 off any drink. 58. Hotel shops: Coronado has three distinct shopping districts: shops at the Del offer 17 stores on the lower level of the property. 59. Fun and fresh … Every Tuesday afternoon from 2:30 to 6 p.m., Coronado’s farmers market offers farm fresh, locally grown produce at the Coronado Ferry Landing. 60. Peruse main street: “Downtown Coronado” is an award-winning Main Street historical area offering eclectic shops from Eighth Street to R.H. Dana Place. 61. Shops on the bay: The Ferry Landing offers more shopping opportunities including art, clothing and home accessories. 62. Garage sale mania … Every Thursday (and sometimes on the weekends) residents’ garage sales offer great buys and occasionally found treasures. Check Wednesday’s local newspaper for a listing of the next morning’s sales. 63. One luv … Coronado is home to four world-class tennis courts at the Coronado Cays, next to the Coronado Library, on Pomona overlooking Glorietta Bay and the Coronado Golf Course, and the newest courts on D Avenue. (619) 522-2650 The Coronado Tennis Association offers organized play and lessons; (619) 437-4348. 66. 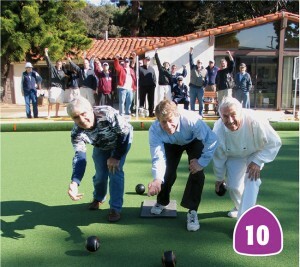 Go for gold … The Optimist Sports Fiesta will get the whole family involved in friendly competition. See our calendar for details. 69. Fly on a zipline! 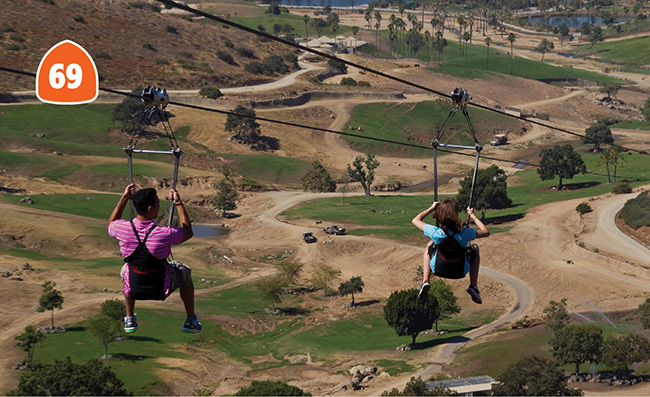 At the San Diego Zoo Safari Park’s Flightline Safari, you will soar over rhinos, deer and other African animals and reach speeds of 60 miles per hour on a one-hour tour. (619) 718-3000 or www.sandiegozoo.org.